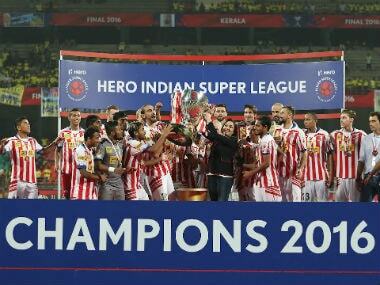 Kolkata: Atletico de Kolkata (ATK) co-owner Sanjiv Goenka on Monday claimed that the two-time Indian Super League (ISL) champions are more popular than city giants Mohun Bagan and East Bengal with traditional support base of millions. While ATK's title triumphs may have earned them a fair support base, it is a matter of debate as to whether ATK co-owner's claims can be taken seriously considering the legacy and history associated with both clubs. Despite I-league's ever-declining popularity, Kolkata derby has always attracted spectators in excess of 60,000 on a consistent basis. "Have you ever seen this much frenzy for any other team in Kolkata? We are now much more popular than any other club in Kolkata," Goenka claimed. "Why should Kolkata sacrifice? Every city has one team, then why Kolkata. Whom will Kolkata support if there would be more than one team," indicating that he would like ATK to be the only team representing Kolkata. The ATK squad and support staff were brought straight to the mall as they all partied and danced holding the silverware, with fans taking photos amid their victory chant 'Amar Bukey ATK' (my heart beats for ATK). "This is the Christmas gift to the city of Kolkata winning it second time in three years. This time it's was more competitive and tough," Goenka said. Co-owner of an Indian Premier League (IPL) cricket team Rising Pune Supergiants led by MS Dhoni, the top industrialist said: "I cannot pick one team, both are equally close to me. IPL is more popular and ISL has given us more success." ATK won the title at the expense of Kerala Blasters FC with a 4-3 win on penalties in the summit clash in Kochi on Sunday. 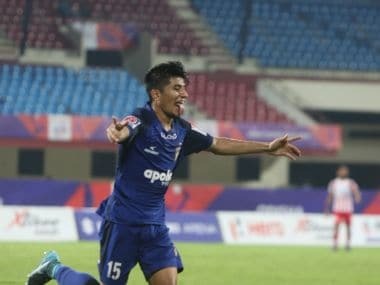 Their star marksman Iain Hume missed a penalty but Debjit Majumdar's dogged resistance under the bar and the Jewel Shaikh's conversion from the spot clinched the issue for Kolkata. "It wasn't easy but we did it winning a second inside three years. The key has been our involvement and togetherness from the first to the last match of the tournament," Hume said. 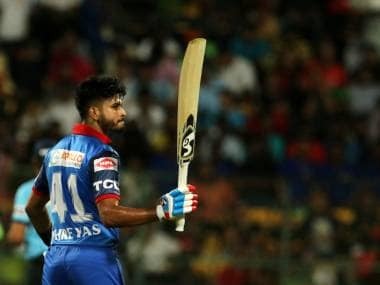 The victory celebration however did not have their marquee player Helder Postiga, Sameehg Doutie, star defender Henrique Sereno, Ofentse Nato and the face of the team and city icon Sourav Ganguly who was busy in a meeting at the Cricket Association of Bengal (CAB).